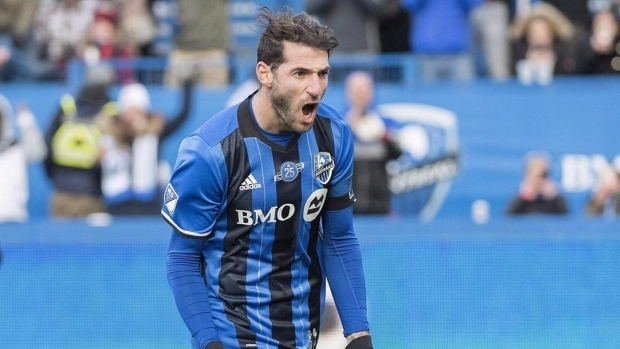 NEW YORK — Montreal Impact midfielder Ignacio Piatti has fined an undisclosed amount for embellishment by Major League Soccer. The league judged that Piatti embellished a fall when contacted in the penalty area in first-half stoppage time of Montreal's 3-1 win at Orlando on Saturday. Piatti scored twice in the game. Both teams were given a warning for violating the league's mass confrontation policy when players swarmed the field in a testy exchange at the end of the game. Impact defender Zakaria Diallo was given a red card during the altercation for putting his hands on the head/neck area of Orlando striker Dom Dwyer. Dwyer, for his part, was fined an undisclosed amount for "instigating and escalating a mass confrontation in the 90-plus minute of the match."